Below is a list of questions to ask when interviewing caregiving agencies and a list of questions for you as the family caregiver or the client. Don’t hesitate to ask tough questions. Questions will save you time, effort and potential issues. How long have you been licensed by the state? How many clients do you serve? (Too few may mean the company is too new and too many may mean you won’t receive the level of service you wish). What is the educational and professional background of the owner of the company? Do you require a deposit to begin services? Is there a contract and if so what is the cancellation policy? If I pay you X per hour for services, how much are the employees paid? Do you perform pre-employment screenings for your employees including 50 state multi-jurisdictional criminal background checks, DMV checks and drug screening? Ask about specific training that relates to your needs i.e. family member with memory loss, Parkinson’s, mobility difficulties etc. How much work experience does this employee you are recommending for me have in this industry? Has this employee had an acceptable performance review? What is the minimum number of hours required for service? What type of documentation occurs regarding services provided to me? What happens when a caregiver doesn’t show up for work? When this happens what is your backup plan? How often does a company manager contact me or visit to confirm my satisfaction? 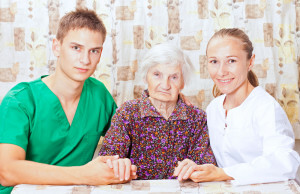 Do you understand that it’s your responsibility to supervise and direct the caregiver? This responsibility is yours. Make a list of what you expect from the caregiver and give it to the agency. Do you realize that your relationship, while friendly, is not to be a friendship? 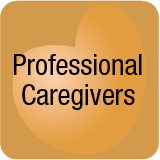 Many clients blur boundaries by asking for caregiver phone numbers and giving caregivers items. This sets the groundwork for the appearance of potential abuse. Caregivers are trained NOT to give out phone number and NOT to accept gifts. If you offer and the caregiver accepts, what else might they do that’s not approved by their employer. Character is what people do when no one is watching! Maintain a professional relationship no matter the situation. This individual is an employee of an agency, not a friend or family member. Will you feel comfortable complaining to management if an employee does not meet your satisfaction? If not you’ll be dissatisfied. The time it takes to be thorough in hiring a caregiver is time well spent. Interview at least 2 companies to make comparisons between the services offered. Ask to meet the employee caregiver recommended for you before committing to service. And if you’ are not satisfied at any time, advise management of your concerns. 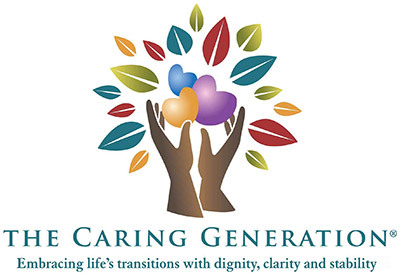 If you are an adult child unable to manage a caregiving agency due to work responsibilities or if you are an older adult concerned about managing a caregiver agency, care advocates and case managers serve in this role.